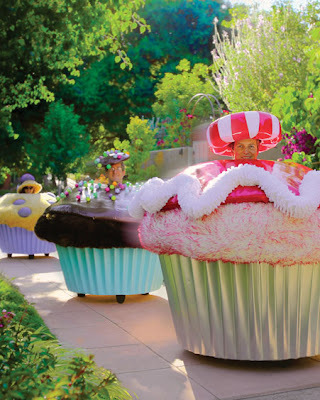 What if a guy showed up for a date in his Customized Cupcake Car from Neiman Marcus?! HaHa. It might be fun to take one for a spin, and it would definitely save on garage space. With a maximum speed of 7 mph, and a $25,000 price tag, I won't be designing one any time soon. I wonder if they thought about making a child-sized cupcake pedal car for kids. Hmmm...Do ya think I'm on to somethin'? !